Nebraska Poker – Is Online Poker Legal in Nebraska? Nebraska poker players are out of luck as it stands today. Nebraska is the worst state for poker players – or is at least tied for it. This page will explain why in more detail. But all you need to know is there are no live casinos, and both online and home poker games are illegal. It sounds like a few people are trying to change that, though. There have also been discussions about bringing brick and mortar casinos to the state. But more on that – and our thoughts on if it’ll even happen – in just a second. For now, let’s start with Nebraska’s home poker laws. Most states exclude home poker games (usually referred to as social games) from their gambling laws. So, the default here is to assume they’re illegal. And based on my research the state says that poker has too much luck or chance involved to be a game of skill, thus making it a game of chance (and a gambling game). With that being said, I have not heard of any games or players being busted. So, chances are you could get away with a game. You would just need to keep it quiet and make sure no one profits from the game other than what they win playing against each other. As a host, you cannot rake pots, charge entry fees or charge for snacks and beer. But I suggest checking in with your local law enforcement and/or your attorney just to be sure. Like home games, online poker isn’t mentioned either. By default that makes it illegal under the statute posted above. That said; you can still find offshore poker sites to join. There is at least a handful that still accepts customers from Nebraska. Your biggest task at this point is finding and joining the legitimate ones. As of right now, privately owned or state licensed brick and mortar casinos are not allowed. There are lawmakers trying to change that, though. The idea is to bring brick and mortar casinos to the state so residents don’t head to other states to play, which of course just takes revenue away from Nebraska. But all attempts up to this point have been rejected. Except for the one made in October 2014. That’s the only legislation tabled so far that hasn’t been rejected. So, we’ll have to wait to see what happens in mid to late 2015. For now, though, there are four Indian reservation casinos. These offer only video slots, keno, live keno and bingo. Poker (or other table games) is not allowed. There are 3 horse tracks in the state. A state lottery, too. Other than that you can participate in charitable gaming in the state. That includes bingo, raffles and lotteries. Experts suggest we’ll see legalized online poker in 2019-2020. But me? I say; no, no we won’t. From my research I’ve found that most states either start or want to start with brick and mortar casinos first. Chances are Nebraska won’t be any different. And since 2014 is the first year an attempt to legalize casinos hasn’t been shot down, I think it’s going to be another year or two yet before the state gains traction in that area. So, assuming things go well, it’ll be 2015-2016 before they even legalize brick and mortar casinos, and another couple years yet (at least) before they build them. Then I bet they wait to see how that does before considering online gambling. And, like several other states, they might decide to expand that (brick and mortar gambling) before deciding to step foot into the online arena. All speculation on my part, of course. 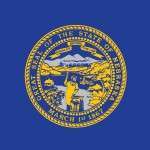 But based on what I’ve seen so far – and considering how long it’s taken for other states to pass regulated online gaming – if Nebraska decides to regulate online poker I think it’s going to be several years after the ‘experts’ opinion of 2020.